On a fine and dry mid-September Saturday morning nineteen attendees assembled just inside the entrance to Bury Hill Park in anticipation of our Living Memory arranged ‘Looking Back’ guided walk across Portway Hill. 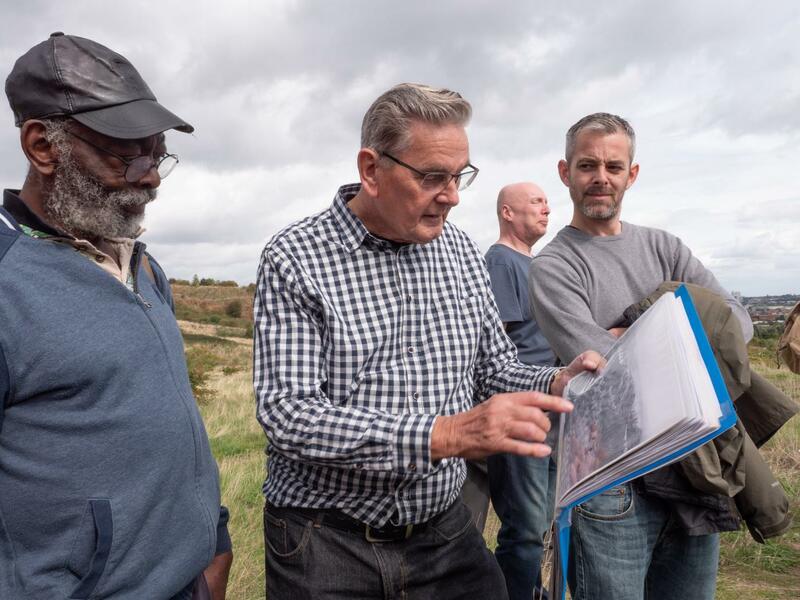 Our leaders for this event, Jim Rippin and Mike Poulton, took us on a circular tour of the Portway Hill site, stopping at pre-determined points to compare the scene that we were looking over today with Jim’s photographs taken in the 1950s when he was a lad. 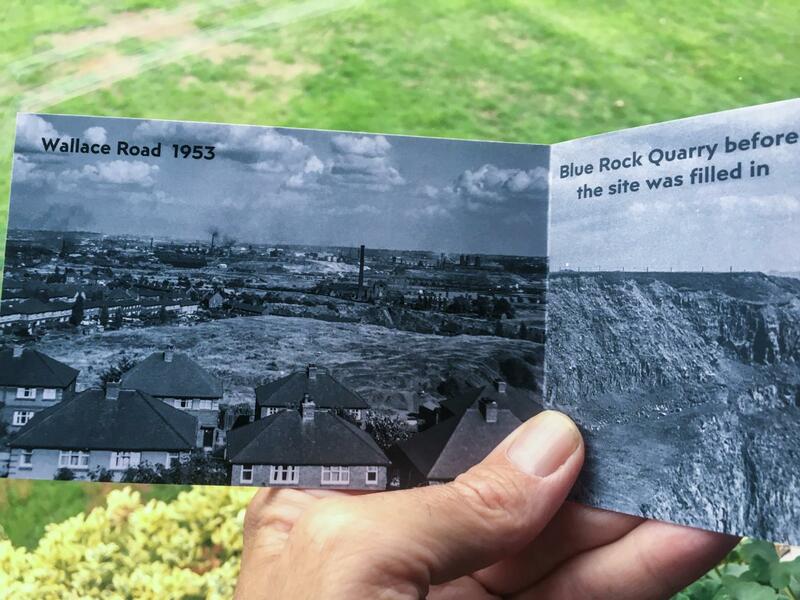 In many instances the view before us was totally unrecognizable from the photograph taken back then, because at the time, towards the end of the 1950s, deep granite quarries dominated the landscape. Names that were familiar to the local people of the day, Sampson, Old Sampson, New Turners Hill and Blue Rock Quarries have little meaning to the people living in this area today but back in the 19th century and first half of the 20th century many local people earned their living here in the quarries. Jim showing members of the party one of his old photographs (image © Geoff Broadway). Pages from Jim’s pocket book (image © Geoff Broadway). To Jim these photographs transport him back to his childhood – this was his local playground, and fortunately for us today, back then he was the proud owner of a camera, somewhat unusual in those days especially for someone so young. Little could he have known then that the photographs he was taking at that time would be so significant today. He was among the very few people who photographed the local scene just as quarrying ceased for ever here in the 1950s. Resurrected, and digitised from photographs tucked away in boxes for most of his adult life, he has now compiled some of them into a pocket-sized book, perfect for carrying around, and a few of these books were handed out at the commencement of the walk so that the photographs could easily be referred to at the various stopping points as we walked across the hillside. A few photographs shown on the walk are exhibited here. 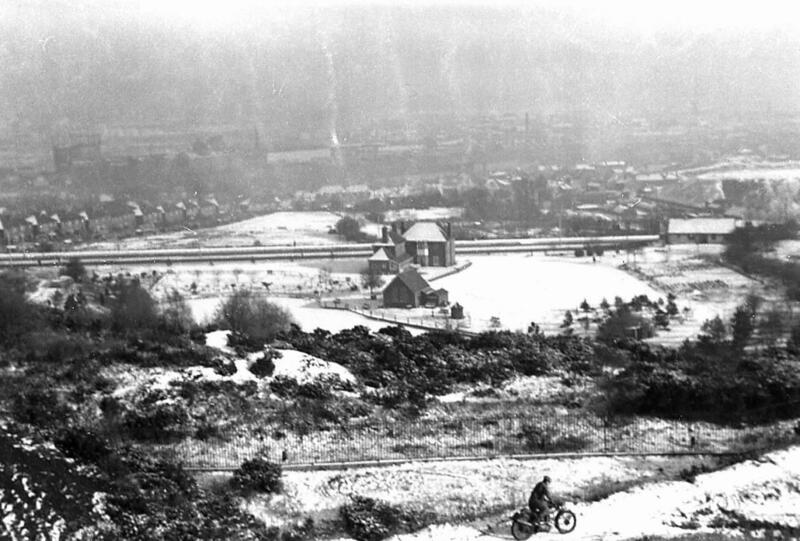 To see more historical photographs of the area please visit the History page of our website. 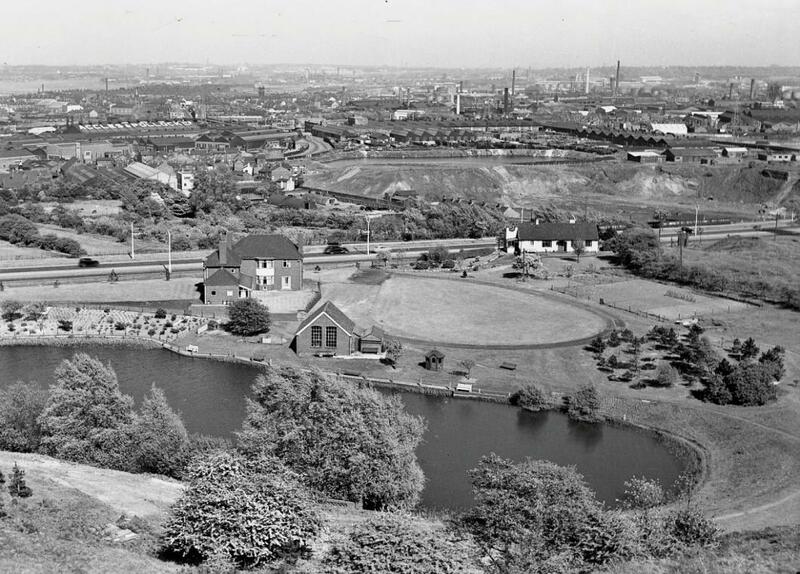 A view of Edale Estate and Oldbury beyond taken from the top of Bury Hill Park in the 1950s (image © Jim Rippin). 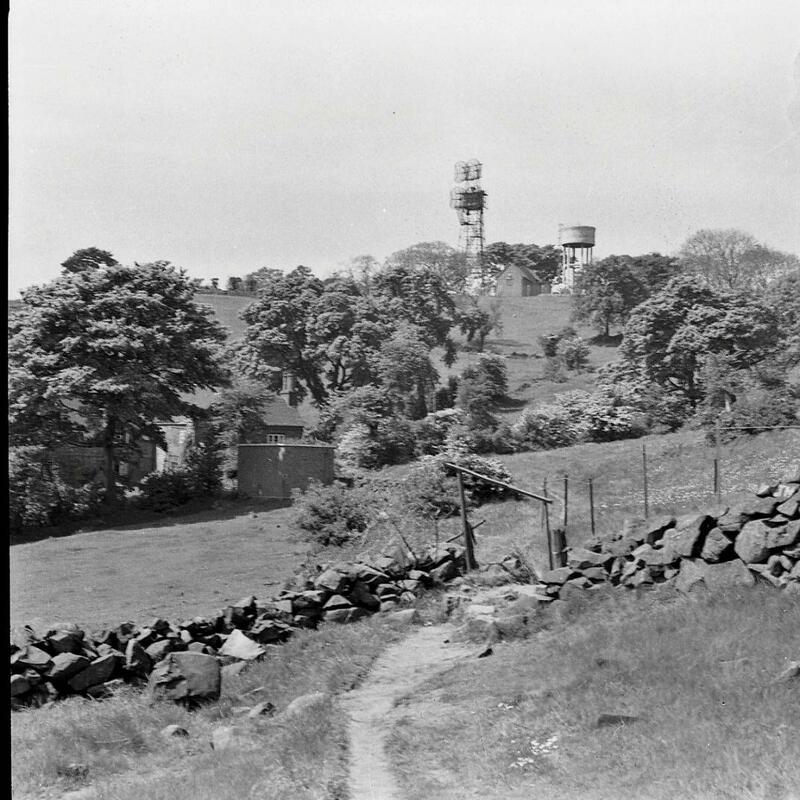 View towards the mast and water tower on Turner’s Hill in the 1950s (image © Jim Rippin). One of the stops on the tour took us along the old double-hedgerow which was part of the disused public right of way which met Portway Hill a little to the north of Old Portway Farm. Here we were met by Wendy, the present owner of Old Portway Farm, who kindly invited us to look at the building in greater detail. 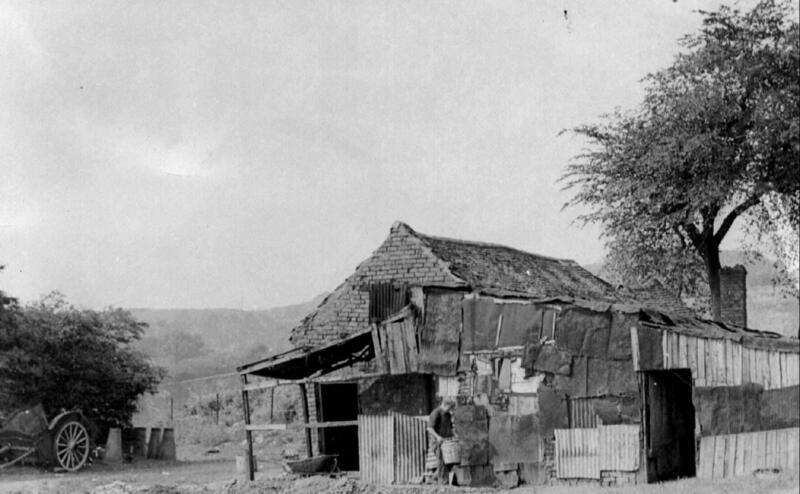 Henley’s pig shed in 1953 (image © Jim Rippin). Working our way back towards the Wolverhampton Road down the south side of the hill Jim pointed out the location of Henley’s Farm and pig shed; this spot is now under housing along Kennford Close. Our final stop of the day was around the brick-built cairn on the parcel of land owned by the Wildlife Trust where the event concluded with a group photograph. 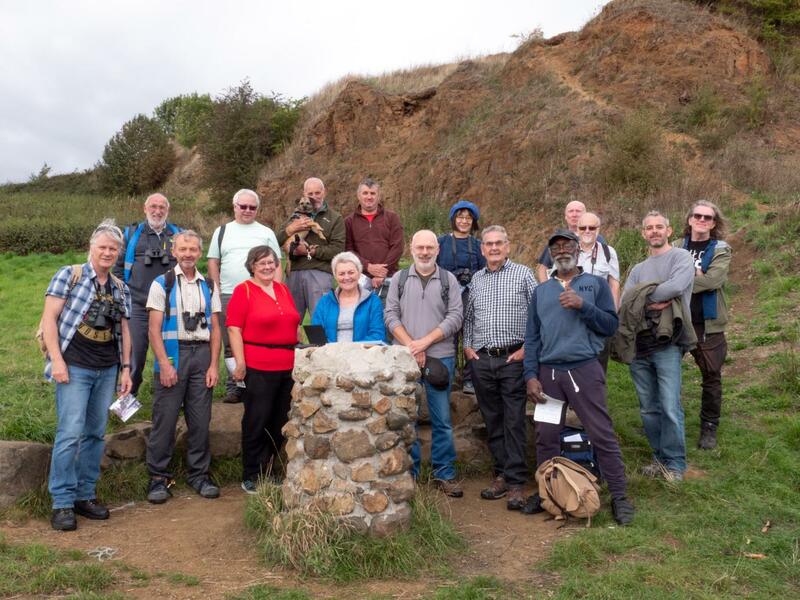 Livingmemory.live ‘Looking Back’ group photograph around cairn on Portway Hill – 15:09:2018 (image © Geoff Broadway). Our grateful thanks go to Jim Rippin for his wonderful photographs, to Wendy at Old Portway Farmhouse for kindly inviting us on to her land, and to Geoff Broadway and his team at https://livingmemory.live for their generous support and for making this event happen. We hope to repeat this walk again in the spring of 2019 so be sure to look out for the details on our website and book early. This entry was posted in Events and tagged autumn, Black Country, Friends of Rowley Hills, guided walks, Living Memory, Looking back, Rowley Hills, West Midlands on September 26, 2018 by janetav. 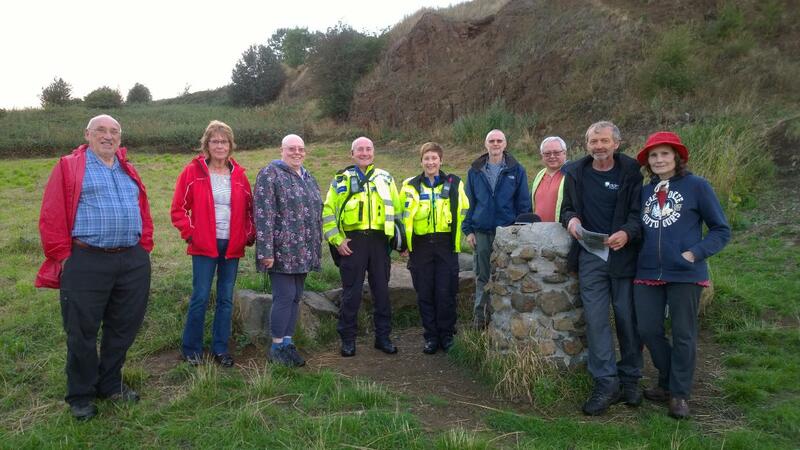 On the evening of Thursday, 23rd August members of our committee met up with PCSO Ria Ware and PCSO Alan Wiltshire, who had kindly agreed to accompany us on a tour of the Portway Hill site. We took this opportunity to show them where unlawful activities are taking place, which includes cable burning, drug abuse, under-age drinking and off-road motorbike and 4-wheel vehicle scrambling. We welcomed the advice they gave regarding reporting such matters to the police; please refer to the How you can help page for information regarding this. This entry was posted in FORH updates and tagged Black Country, crime, Friends of Rowley Hills, PCSO, Police, Police Community Support Officer, Rowley Hills, West Midlands on September 20, 2018 by janetav. On Friday evening (31st August) we set up two Mercury Vapour moth traps in the old quarry at the top of Bury Hill Park. In all we lured 14 different species of moth to the traps. The two that there were most of were Large Yellow Underwing and Square-spot Rustic. Chinese Character and Mouse Moth were nice to see. Richard Orton and Tom Hartland-Smith put on a really interesting event, explaining about the different traps that are used to lure moths and the most useful books to use for identification. The ten people who attended enjoyed a great evening and learned a lot from the experience and we look forward to further events like this in 2019. 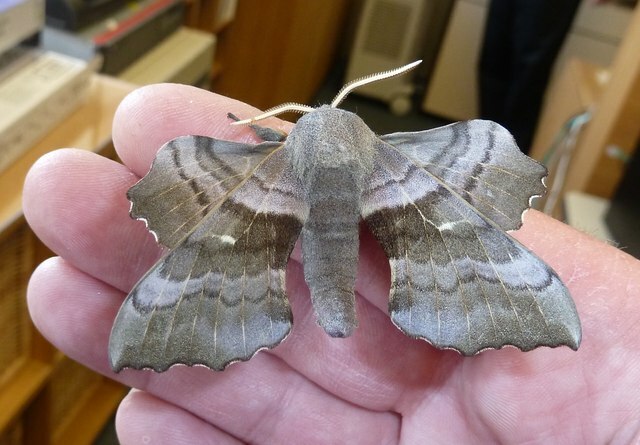 This entry was posted in Events and tagged Black Country, conservation, Friends of Rowley Hills, insects, moth trapping, moths, Rowley Hills, West Midlands, Wildlife Trust on September 4, 2018 by janetav. We’ve added another great event to our autumn line-up – a Moth night on Portway Hill, Friday 31st August 2018, 8:30pm – 10:00pm. Come and join the Wildlife Trust for Birmingham & the Black Country for an exciting night of moth trapping up on the Rowley Hills. All welcome and no prior knowledge needed. Due to the Wildlife Trust having not previously surveyed the site for moths every record will be a new one for the hillside and site! This site is renowned for rare butterflies so we hope it will offer similar delights for moths. Walking boots are recommended and please bring a torch if you have one available. Meet at St Brades Close, B69 1NX, West Midlands. Please note this is a residential parking area so please park respectfully with the local residents in mind.If you are planning on attending can you please email Tomh@bbcwildlife.org.uk to express interest. 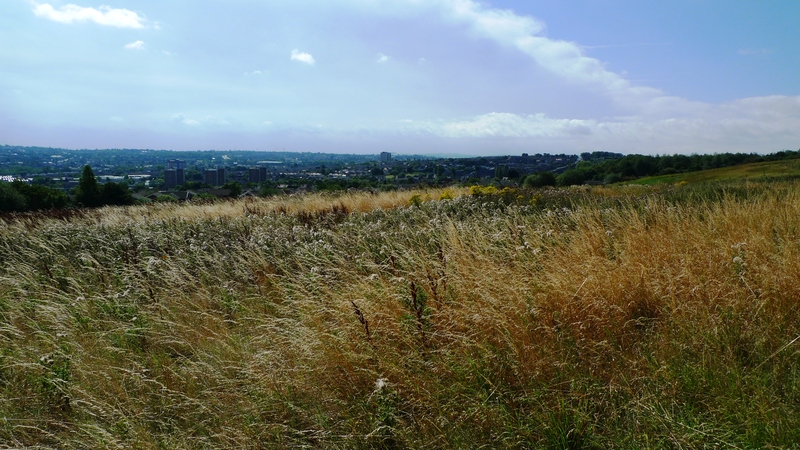 This entry was posted in Events and tagged Black Country, Friends of Rowley Hills, insects, moth trapping, moths, Rowley Hills, West Midlands, Wildlife Trust on August 25, 2018 by janetav.